Two weeks are once again over and the next, 15th, issue of our Kombat Kolumns has arrived. This time ded_ will review another bonus feature, this time it is the version of Ultimate Mortal Kombat 3 that comes with the Premium Edition of Mortal Kombat: Armageddon. 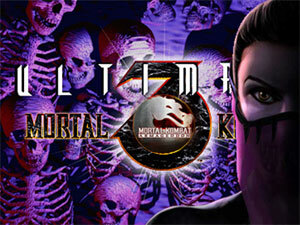 Click here to read the 15th issue of our Kombat Kolumns. 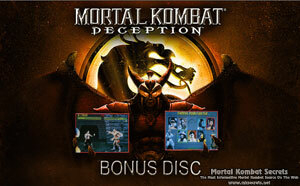 In today's Kombat Kolumn ded_ will review the bonus features of the Kollektor's Edition of Mortal Kombat: Deception: Mortal Kombat 1, Characters Video Biographies and the History of Mortal Kombat video. Click here to read the 14th issue of our Kombat Kolumns.